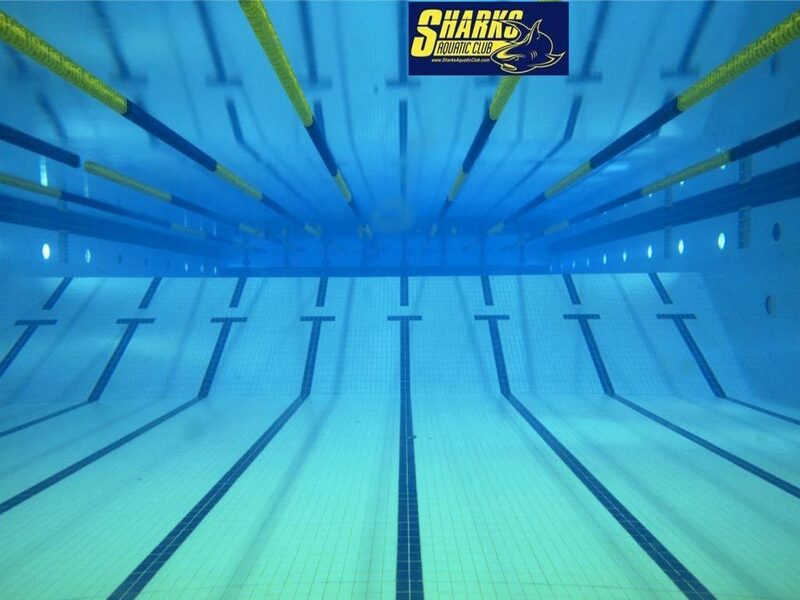 The Sharks Aquatic Club offers training and practice groups for swimmers of all ages and ability levels. It is the goal of the Sharks Aquatic Club to offer age specific training for all of our athletes geared towards challenging each individual and developing each individual to the best of THEIR abilities. The Sharks Aquatic Club is a year-round competitive swimming organization. We are members of U.S.A. Swimming, North Carolina Swimming, the Blue Ridge Swim League, and the Western Carolina Swim Association. Our members train for competition. As a member, your child will be divided into a practice group specifically designed to best meet your child's needs and abilities. Our trained coaching staff will determine the training group that best suits your swimmer. Below you will find a list of present groups and their descriptions. Reef Sharks are 8 & unders (with some exceptions) who are looking for a fun activity to add to their routine. They should be able to swim 25 yards of freestyle and backstroke, and have a basic idea of how to do breaststroke and butterfly. While these swimmers are introduced to competitive swimming, they work on learning good habits, making friends and enjoying the sport! Reef sharks practice two days per week. This group is generally 9-10 year olds (with some exceptions), and places a heavy emphasis on stroke technique, turn, starts, as well as basic training techniques, and fun! The skills swimmers are encouraged to have before entering this group are a length of backstroke, freestyle with bi-lateral breathing, and legal breaststroke and butterfly. Hammerheads are offered five one-hour practices per week, and should choose any three. Generally 11-12 year olds (with some exceptions), these swimmers continue to learn and practice proper technique in all competitive strokes, starts, and turns. Swimmers are introduced to interval training, and begin to compete on a regular basis. The Tigershark group is offered practice five days per week, and swimmers are encouraged to attend four, for 1 ¼ hours each practice. Swimmers in this group are coming from High School season and wanting to stay in shape through out the summer. In this group, swimmers will get the conditioning they need in order to have a successful high school season. Swimmers will be introduced to dryland and goal setting. This group practices five days a week for 1.50 hours a day, and swimmers are encouraged to try to attend 3-5 practices a week. Swimmers in this group range in age from 13 through 15 years old. There is a continued emphasis on swimming with proper technique as more advanced training technique is introduced. Swimmers are introduced to dry land training, as well as goal setting. Regular attendance at both meets and practice is encouraged. The Mako 2 group is offered six 1.75 hour practices per week, and is encouraged to attend five. Swimmers in this group are committed to training at the State, Regional, and National level. Swimmers must show the ability to train and race at the highest levels possible, be fully committed to the sport of swimming and be able to commit 100% to the full practice & meet schedule for the entire year. Swimmers must show a high level of attendance and commitment in the Mako 2 group before progressing to this group. Practices are two hours Monday-Saturday with additional practices in the morning as needed.